A trusted car service centre in Lilydale not only allows you to enjoy bigger savings but also provides high-quality repair solutions within the stipulated time. When talked about the problems related to cars, most owners prefer relying on local auto repair shops. Although one can easily get repair solutions from a dealership, the majority still prefers to opt for services that are provided by the local mechanics. The major reason for this preference is the unique advantages one gets for hiring a local auto shop rather than a local dealer. In case, you need a repair service but finding it difficult to decide whether to choose an independent shop or a dealer, here's why you must go for the former. 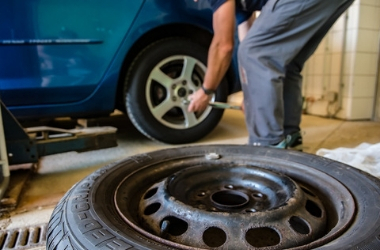 Compared to dealerships, the repair solutions offered by local shops are affordable. A justified clarification for this is, independent shops mostly have lower overhead expenses as they employ fewer people and rent smaller spaces. What more do you need if you get the leisure of top-notch car repair services at budget-friendly prices? Hence, by taking your vehicle to a car service centre in Lilydale or other location, you can save ample. If you need minor repair services, there could be no better option than an auto shop. Basic maintenance and simple repairs will cost way more if a dealer is involved. In case, you let the service providers in Lilydale take care of everything, you can experience maximum convenience. Owing to the stiff competition among the repair shops, the reputed ones are inclined to offer commendable technical and customer services in order to attract more customers. They are even willing to go the extra mile to create a positive impression on the customers. However, to rely on a shop that's trustworthy, you need to conduct proper research. By choosing an independent auto shop, you can easily communicate with the professionals. These shops have “homey” vibes as they have fewer experts working for them. You definitely won't feel hesitant to make certain requests if needed to the mechanics as they seem friendlier and humble than the professionals at the dealership. For choosing a reliable car service centre in Lilydale, you can feel free to ask for recommendations from your friends or relatives. You can seek the help of the Internet to find out shops that have earned immense popularity and maximum ratings for offering top-notch car repair solutions within the stipulated time.